Etsy open-sourced their deployment tool a while back, but I didn’t learn about it until more recently. 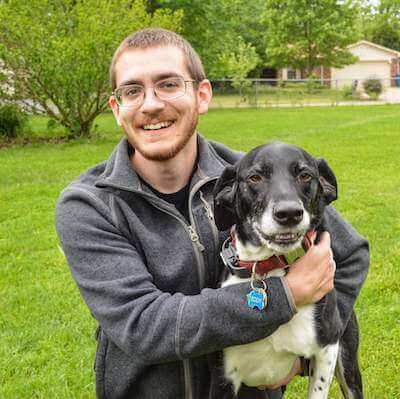 It is called Deployinator and runs on Ruby. I’m looking at using it for a project at work, but I ran into a horrible lack of documentation. The one example that is in the repo isn’t bad, it just doesn’t show you how to have multiple deploy buttons. In the case I may use it in, I will need multiple. If you aren’t sure what I mean by “multiple deploy buttons” check out the picture on this page. After digging through the code I finally got that working and I think others might want to avoid digging through the code. 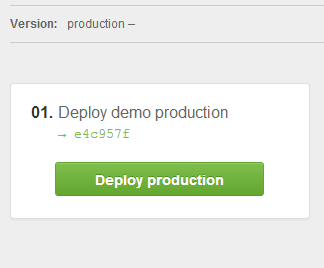 If you don’t configure the buttons, called environments, then you get one “Deploy production” button, like you see below. Below is what you get for the demo stack. Only a few of the methods are actually required for the default setup. The required methods for the default setup are demo_production, demo_production_version, and demo_head_build. Once I found this code, and found the typo in my method name I was easily able to add more environments. To add environments to the demo stack that is provided all you have to do is define a demo_environments method in the stack file. 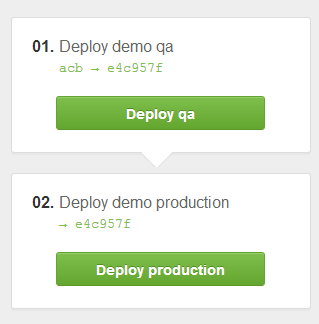 Below is an example with a qa and production environment defined in a dynamic way. Here is what you end up with. So far this has been the biggest thing that wasn’t explained. Anything else I come across I’ll add here as well.